I'm the type of person who usually blogs about the warm fuzzies in life. I try focus on the affirmative. No need to dwell on the negative. Or at least publicize it. But sometimes, I come across something so distressing that it sticks with me for days, weeks, or a lifetime. Right now, this something is the Salton Sea. I can't explain the technical or environmental issues that have/are happened here, but I can tell you what I saw and what I felt when we went to the Salton Sea last Friday evening. 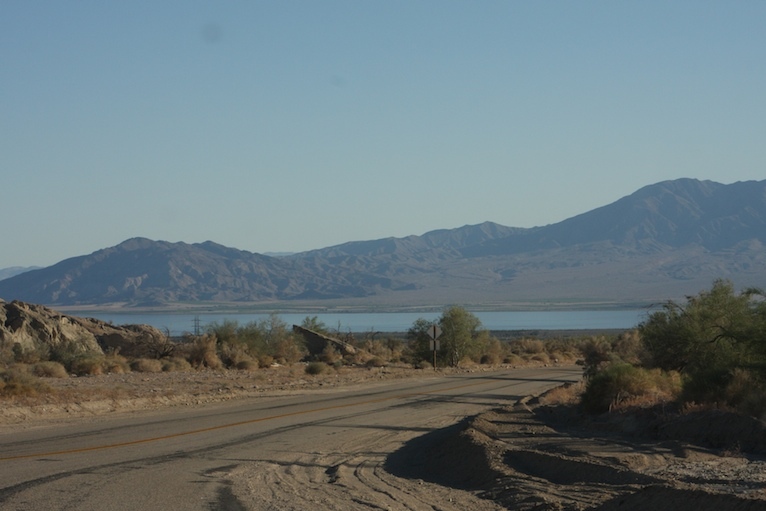 As we approached the Salton Sea, it looked like just about any other lake in the California desert. In fact, there were glimpses of paradise. -The surface of the sea is over 200 feet below sea level. -Currently, agricultural runoff via nearby rivers, is largely responsible for sustaining it. -There's no outlet, so evaporation is the only way the water is lost, leaving more salt than water. 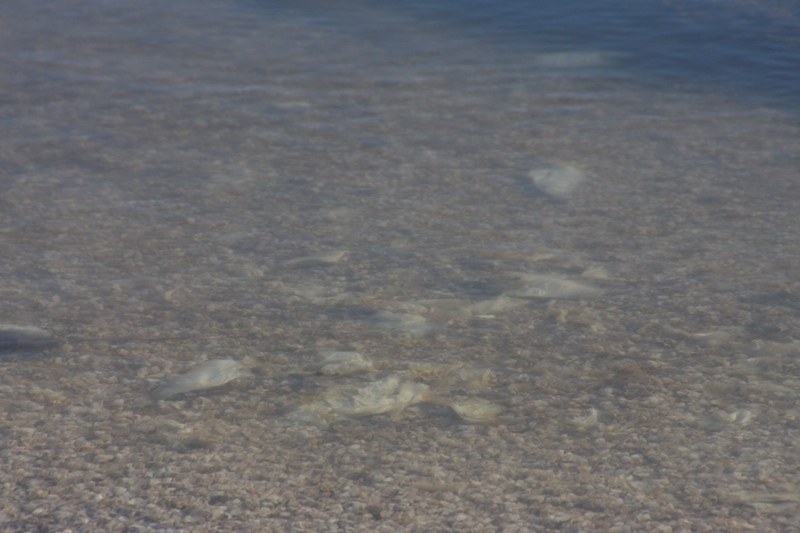 -Because of the evaporation, the concentration of pesticides and pollutants left in the sea increases. 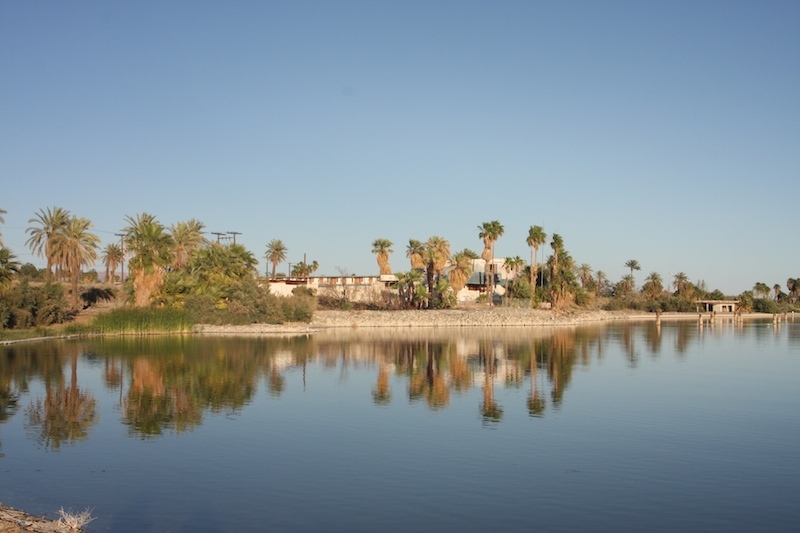 -Approximately 400 species of birds have been documented at the Salton Sea and it's a major resting stop for migratory birds. 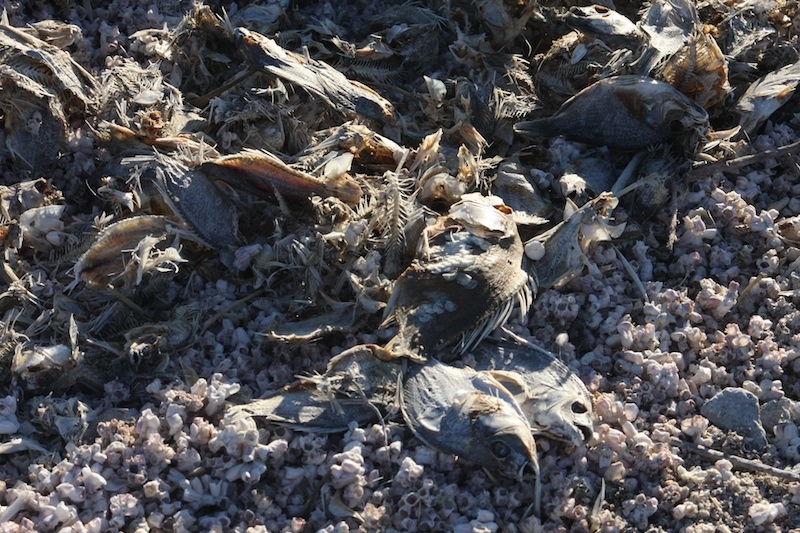 -Thousands of birds have mysteriously died since 1996 at the Salton Sea and is still a significant issue today. Here's another almost picturesque photo. But are you ready for a closer look? 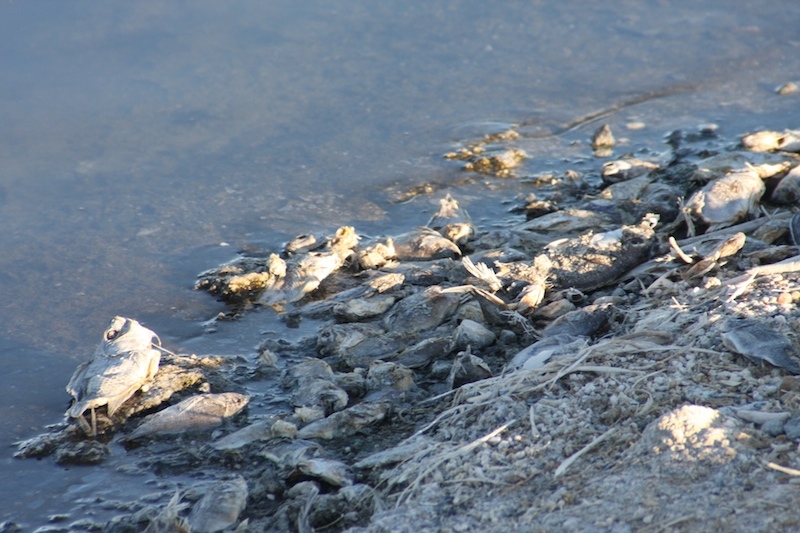 Millions of fish carcasses left because of massive die-offs. And there are more dead fish floating in the sea. I don't think I need to go into detail about the stench. 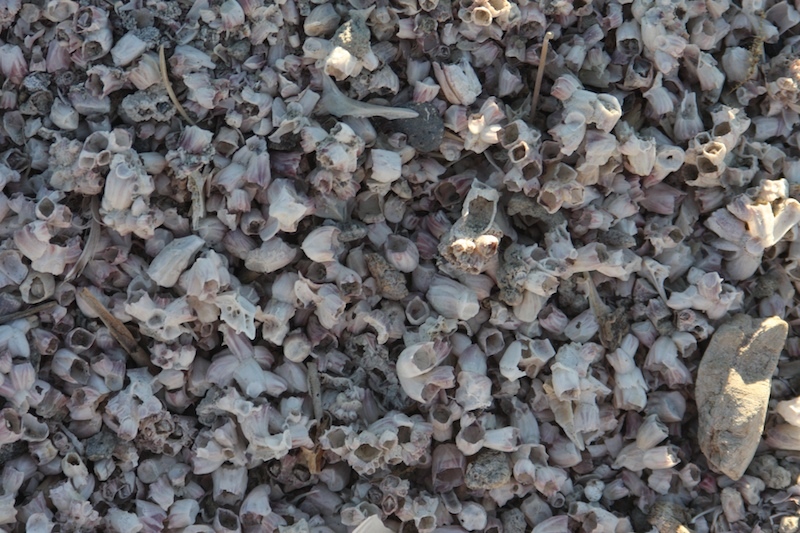 Some of the die-offs are unexplainable, others occur every year during the hot summer months when the water evaporates and oxygen levels decrease dramatically. While a few people claim the water is safe, my eyes tell me differently. Of course, my observations totally oversimplify the actual issues. Jimmy and I talked it for hours, he's spent countless more researching it. And I've scratched the surface reading about it online. I'm a visual learner, just reading about something doesn't have nearly the impact as actually seeing it in person or being able to touch or smell it. And even though my tendencies are to gloss over the icky stuff, I know when I've been slapped in the face of reality. If both birds AND fish are dying, Mad, what's going on???? Are they saying the evaporation is part of the global warming? DUH. I would guess so, and yes, that would disturb me as well! 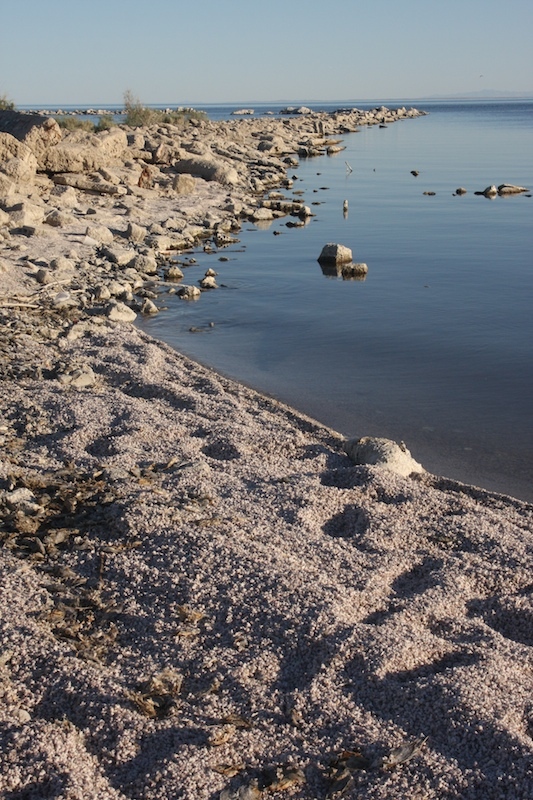 I have to admit I have never heard of Salton Sea, but that's not surprising as I live so far away from California. I am assuming it's a natural area, not a man-made lake. What is happening there is atrocious. It seems that this is a full blown catastrophe in the making. Wkipedia says that a project to save this area (if approved) could begin in 2011 and would be completed by 2035, but perhaps some positive action is needed NOW!!!!. very nice picture series! beautiful beach! Oh, this breaks my heart and it pains me to think there are those that are denying this is a problem. Oh that is sad, is that near Niland Ca? Wow, those images are haunting.